This is a rectangular flange B.O.C. Kerosene porcelain sign. This particular B.O.C. 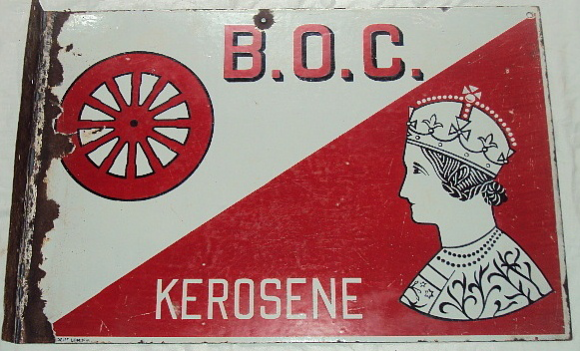 Kerosene sign features a woman wearing a crown against a red and white background. It reads, “B.O.C. Kerosene” and also features a red wheel on the left side of the sign.